Once a taxpayer files Income Tax Return, the next thing they are worried about is their Income Tax Refund. A taxpayer can claim Tax Refund when they have paid more tax to the Government than their Tax Liability. A taxpayer can check the Income Tax Refund status by visiting the Income Tax Department’s Official website or NSDL’s official website. A taxpayer can track the status of Tax Refund by using the following steps. Firstly, visit the official Income Tax Department’s website. Then provide the details like your PAN and the relevant Assessment Year. After that enter the Captcha Code as provided in the image and click on the Submit button. 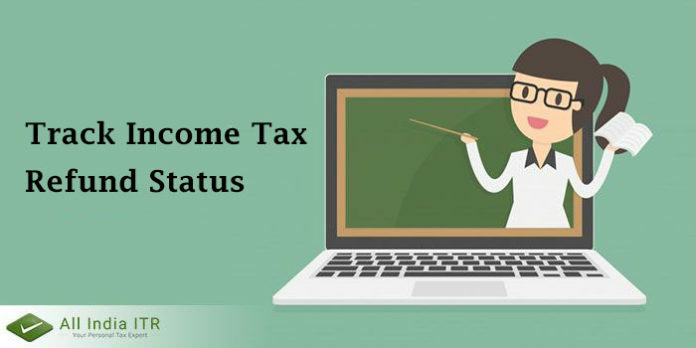 You must know that your Income Tax Refund Status will be updated after a period of 10 days from the date Income Tax Department sends refund to the bank. What happens if you don’t receive your Tax Refund within the stipulated time? In case the refund is against advance tax or TCS or TDS, the interest payable on the refund amount will be 0.5% per month or part of the month, which started from 1st April of the Assessment Year to the date on which refund is granted. No interest will be payable if, the excess payment is less than 10% of the tax determined on regular assessment or under section 143(1). In case the refund is against tax other than advance tax or TCS or TDS, then the interest payable is at the rate of 0.5% per month or part of month from date of payment of tax or penalty to the date of grant of refund.